This caviar originates from the nearly wild grown sturgeon of the Thousand Island Lake, a 220 square miles area of unpolluted, crystal clear water surrounded by virgin forests. 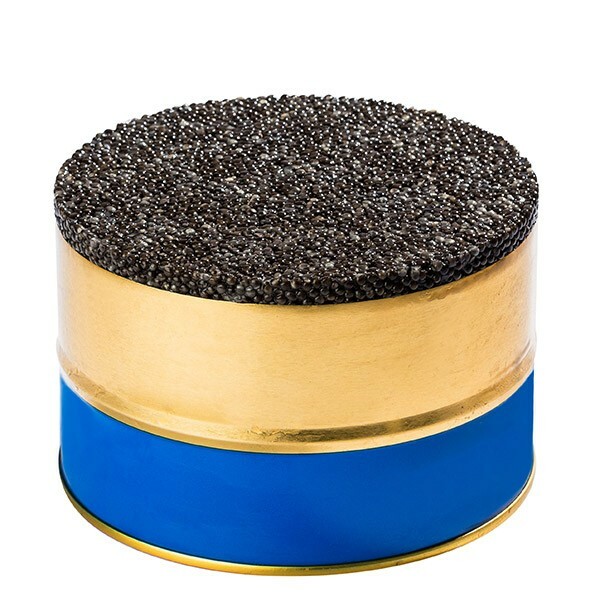 Here the highly priced crossbreed of Kaluga and Amur Sturgeon is aqua cultured under pristine, environmentally-friendly conditions resulting in the world class quality caviar, which stands on par with the best sturgeon caviars on the market. The grains are firm with a diameter of over 3.0 mm and its color can be pearl-grey, or dark-grey. The flavor is strong, buttery with a long lasting aftertaste inherent to sturgeon caviar. Cured in compliance with Russian Molosol style, with no preservatives added, the caviar is packed in the decorative vacuum-sealed tins made in France. Don’t miss out on this opportunity to treat yourself to such exquisite delicacy while our supply lasts!